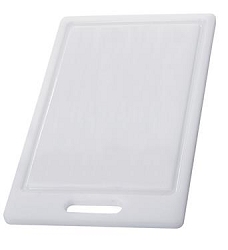 Polyethylene cutting board protects your tables and countertops from scratches and won't dull knives. 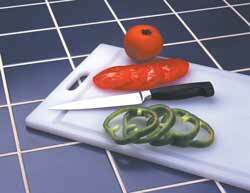 Features a handle and juice groove. 15-1/2" x 9-1/2". Priced each.